Harleys have lived at 909 Massachusetts Ave. since Henry Augustus Harley built the family home in 1898. And paranormal investigators think some of the early Harleys may still be there from time to time. 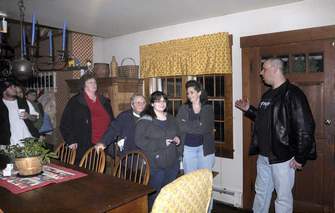 The evidence: audio recordings and sightings of spirits roaming the rambling building.